Located at the elevation of 1600 meters (5000 feet) above sea level in Vietnam’s remote Northwest mountainous areas, Sapa which is a lovely hill station town in the Hoang Lien Son mountain range is famous for both its fine, rugged scenery and rich cultural diversity. With geographic condition, Sapa is widely considered one of the Vietnam’s best two places to escape from the heat in summer, the other place is Da Lat – the charming town in the Central Highland, the Sapa’s temperature remains stably cool throughout the year though winter may see more severe changes, with frost and even snow. In the summer, Sapa is a very popular destination for domestic tourists to escape from the crazy heat of Ha Noi. There’s two ways to get to Sapa- by over night train or bus. The train from Hanoi to Lao Cai station takes around 8 hours. Due to the newly-opened expressway, travelling to Sapa by bus is easier than ever, it only takes around 4 hours to escape from the heat of Ha Noi in summer to get the cool mountainous area of Sapa. For foreign visitors, it is convenient to get to Sapa. From Hanoi airport, you can have 1 tourist tours visit Hanoi one day before the start of tours Sapa. Thus you will have an extremely perfect experience for the people bustling urban place with a natural landscape in Sapa. 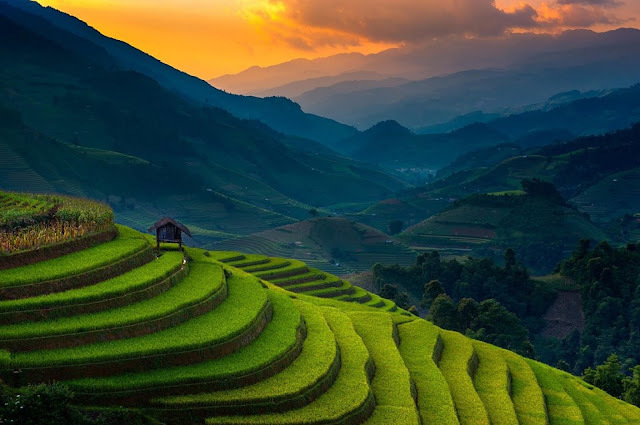 Sapa is regarded as the best trekking spot in Vietnam, by both natives and foreigners, the whole town is covered by Hoang Lien Son mountain range, which also includes Mt. Fan Si Pan – the highest peak in Indochina with the height of 3143m. This mount is not only a tough challenge to trekking enthusiasts but also an opportunity to witness the splendid mountainous vista. 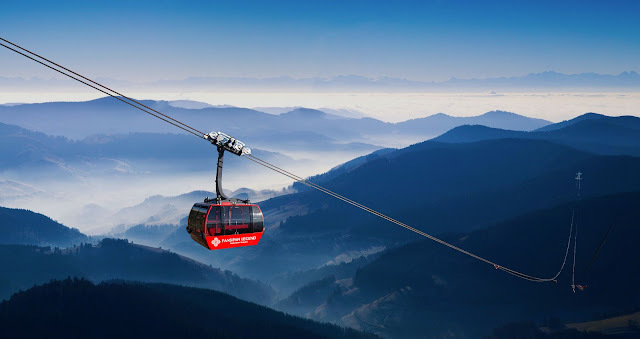 In January, 2015 Rough Guides – the leading publisher of travel and reference guides has listed Sapa cable car among top 9 new tourist attractions around the world. From later September, 2015 the trek up will be reduced to a 20-minute flight by cable car.